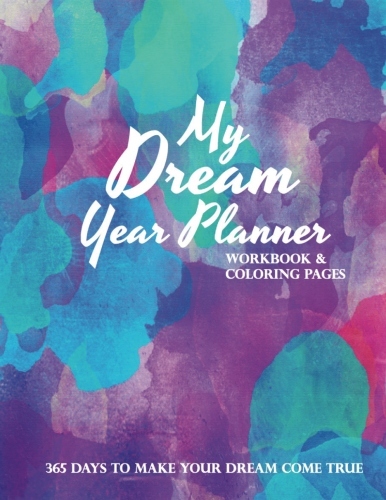 A date-less planner that allows you to start dreaming when you're ready and create your own timeline. It shares books and gratitude exercises to jump-start your dreaming process. Is there something you want to do that keeps nudging you because you won’t complete it or finish it? Do it! Time doesn’t stop nor can you get time back! Go for your dreams even if it’s one dream at a time. - 4 Coloring pages, because sometimes we need to stop, de-stress and make our world more colorful. Keeping your dreams, vision, and strategy on how you plan to achieve these things all in one place will keep you focused. Are you ready to make your dreams come true?